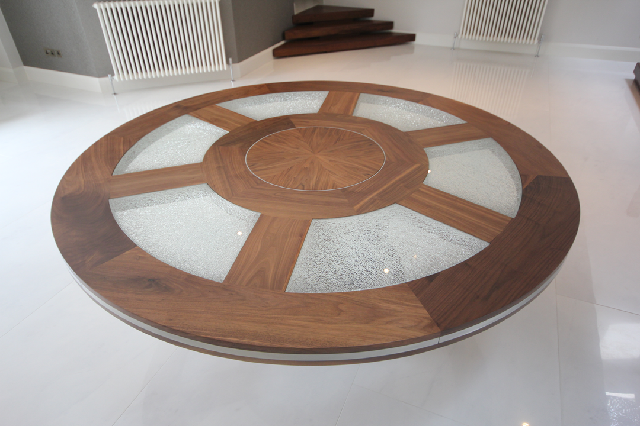 Circular dining table in walnut, steel and cracked glass. 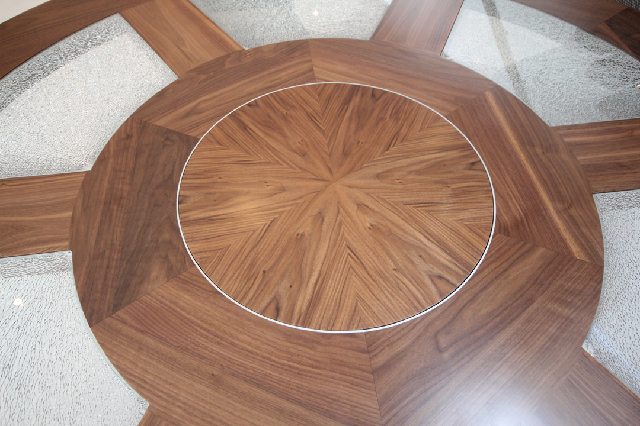 A wonderful, large scale, circular dining table where beautiful materials and the quality of the making shines out. 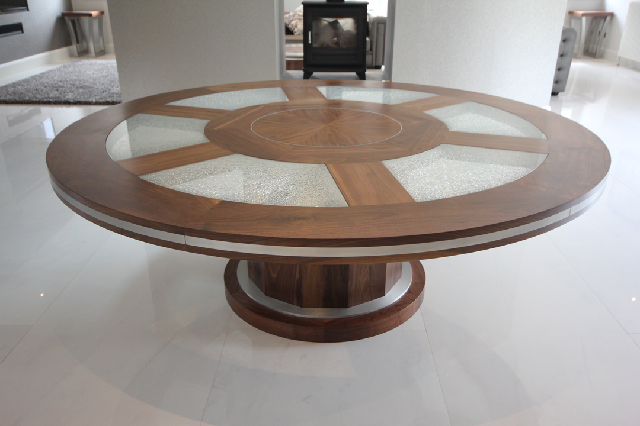 The table is made from 3″ thick solid walnut. 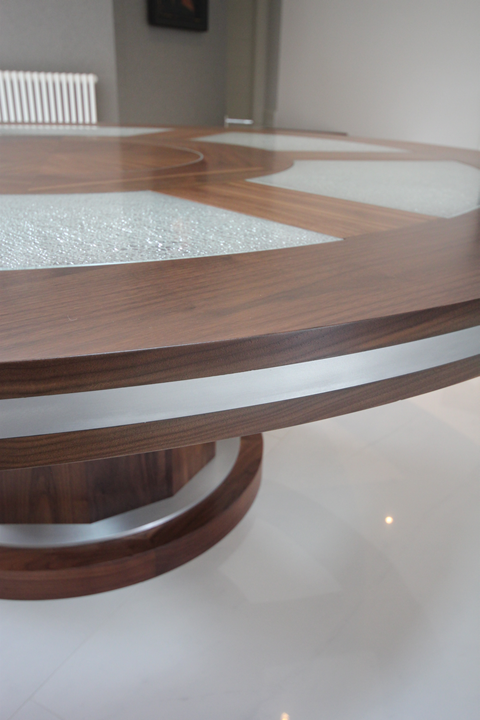 The curved pieces of laminated, cracked glass are 18mm thick. The band of brushed stainless steel around the outside is 6.5 meters long. The table top sits on a coopered walnut base. 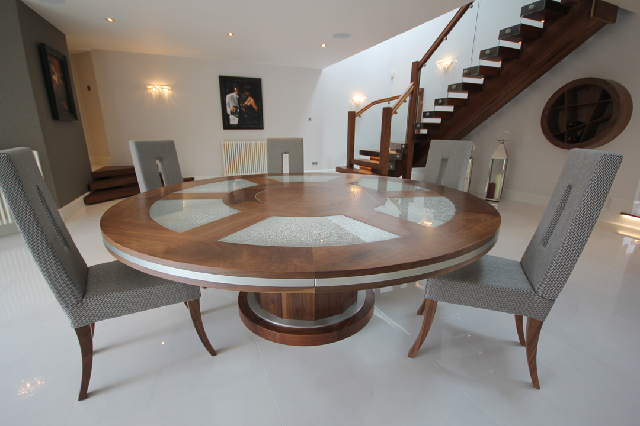 This fabulous dining table confidently sits in the middle of the clients contemporary room and provides a wonderful focal point.